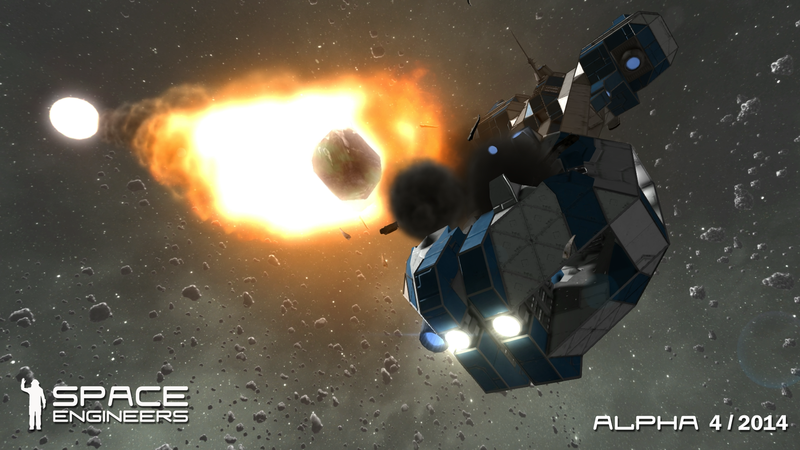 Space Engineers is an Early Access title in Alpha. This means the game is not fully optimized and various bugs are present. 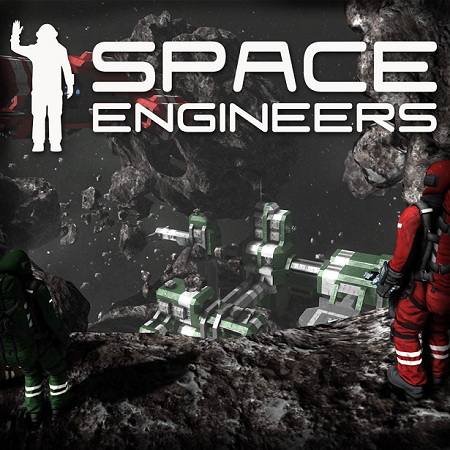 However, this also means that Space Engineers is continually being updated, refined and improved based on YOUR feedback (weekly, in this case). The feature list is available here, and you can watch the games’ development progress here. 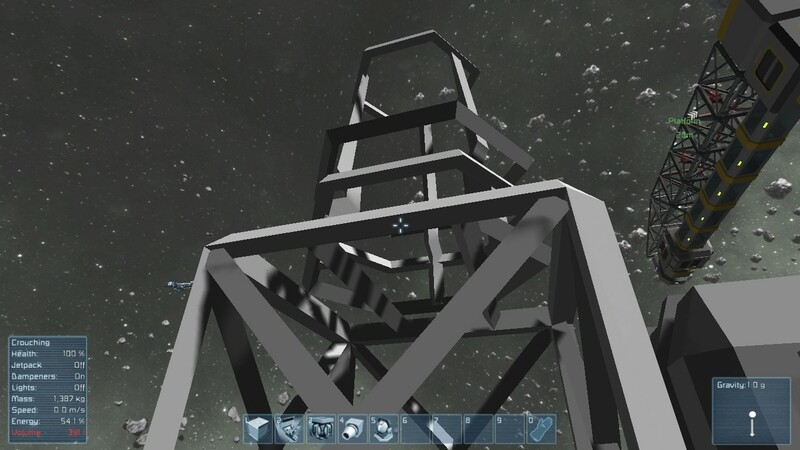 In this game, you play as an actual Space Engineer (“a professional practitioner who uses scientific knowledge, mathematics, physics, astronomy, propulsion technology, materials science, structural analysis, manufacturing and ingenuity to solve practical problems in space“). You are planted in a world of physics, science and math–not warp speed drives. This means that players are firmly rooted in reality, working with NASA technology as it might be sixty years from now. 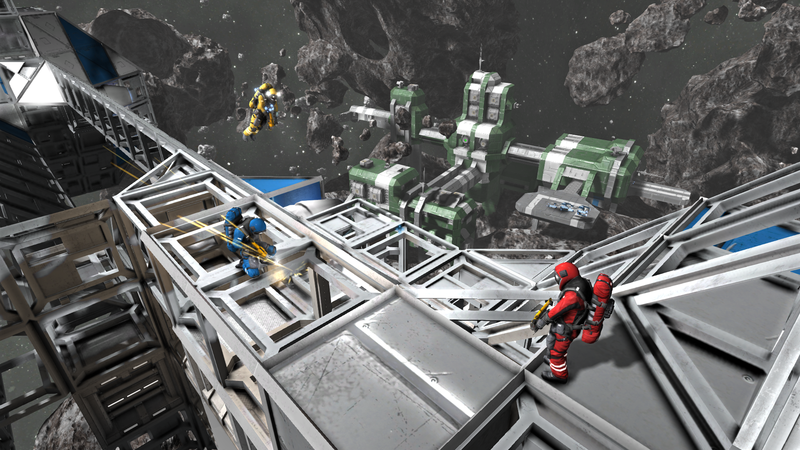 Space Engineers is powered by a custom voxel engine. 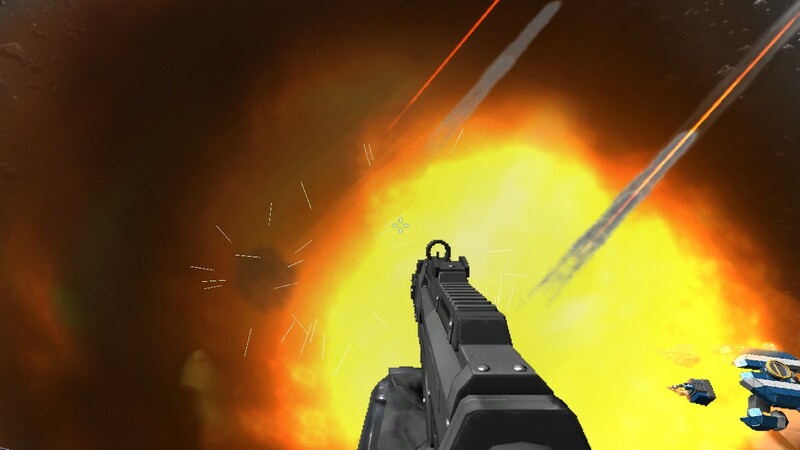 This allows players to interact with their environment dynamically–boring mining tunnels through asteroids and watching their ships crumple from a meteor shower. The level of immersion is incredible. 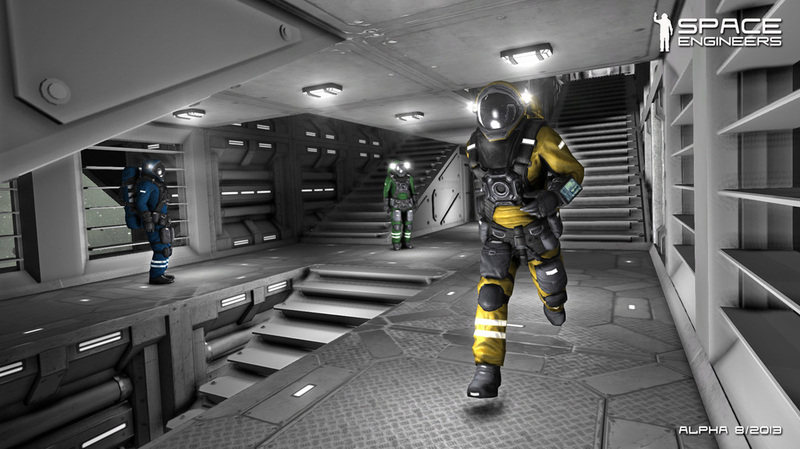 Gameplay is divided into two segments: Creative and Survival. The goofy madness reigning in Creative stands in direct contrast to the realistic pressure of Survival mode. 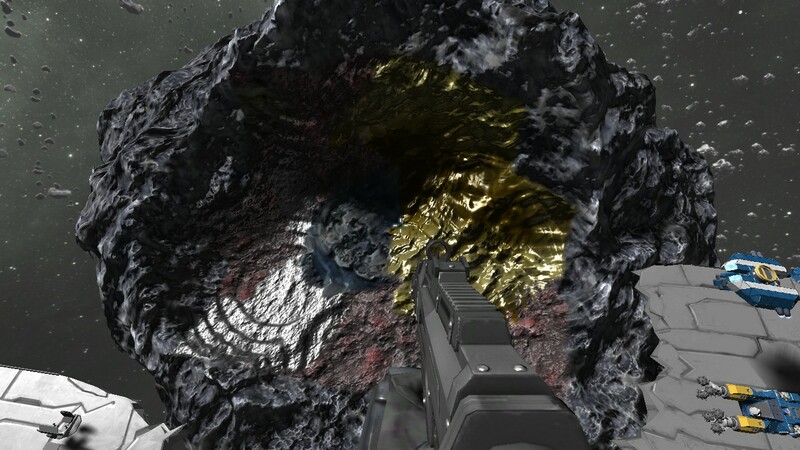 Ores (iron, gold, etc.) must be harvested manually, refined into a usable state, and then assembled into the desired product over time. This makes every construction a precious commodity–every design decision critical. Hey! I spent 100 hours building that! 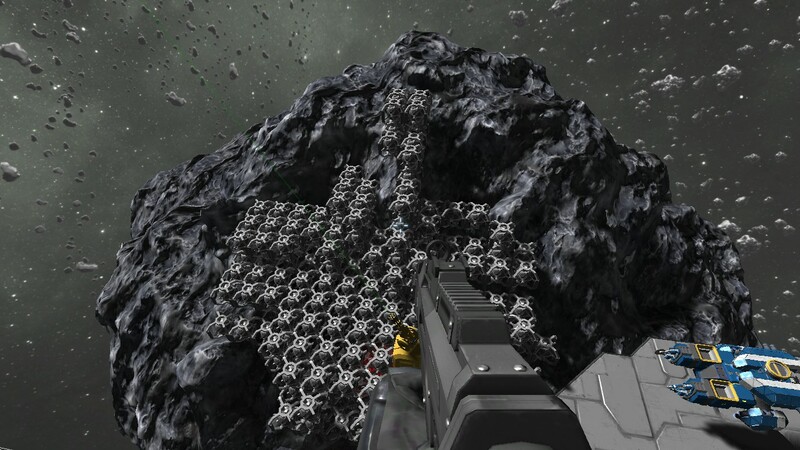 A solid weekly update schedule and active integration of player ideas (such as solar panels) has built a strong community around Space Engineers. This international community has added content to the game through mods and structures shared through the Steam Workshop. 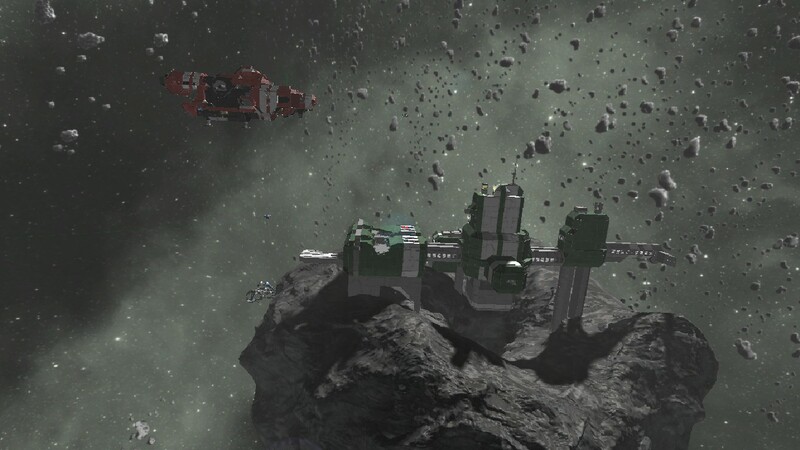 Space Engineers stands out in an increasingly-crowded voxel category with a focus on scientific realism, consistent updates and fostering a supportive community. In its current state, this a great game. There are none to my knowledge in the base game. Any Potential Concerns encountered at this stage of development are to be found when interacting with other players or downloading user-created objects (such as ships, worlds, mods, etc.). *This title was received for preview. See our statement of ethics here and game review criteria here. This entry was posted in Uncategorized and tagged Bible, christian, christian gaming, christian review, christianity, family-friendly, gaming, indie, Jesus, KJV, Mods, paid, PC, preview, salvation, Space Engineers, Space Engineers Preview, Steam, video game, video games, video games and the Bible, Video Games and the Bible Gameplay, Video Games and the Bible Highlights, Video Games and the Bible Previews, Video Games and the Bible Video, videogames, voxels. Bookmark the permalink. One of the best voxel based games to have come out over the last couple of years! Just can;t stop playing! The new planets went down a treat!